The index opened positive just below 9000 but saw huge profit booking to see the index down by more than 221 points from the top and closed at 8808.90, huge loss of 143.45 points. The broader market was weak, with 579 advances to 917 declines. Initial Developing Range as per Option Table comes to 8500-9000. Call option 8900-9300 added huge 34.96 lacs OI with short covering seen at 8800 and lower strike prices. Put option 8700-8000 added huge 19.26 lacs OI with short covering seen at 8800 and above strike prices. 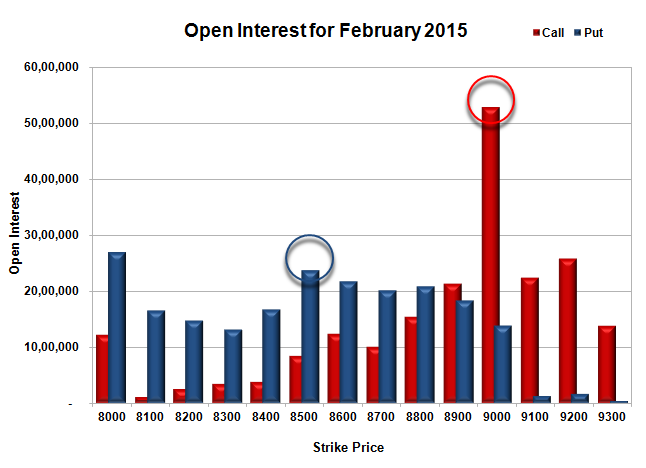 Nifty Open Interest is at 2,55,04,975 up by 7,58,725, with decrease in price, most probably huge short build-up. 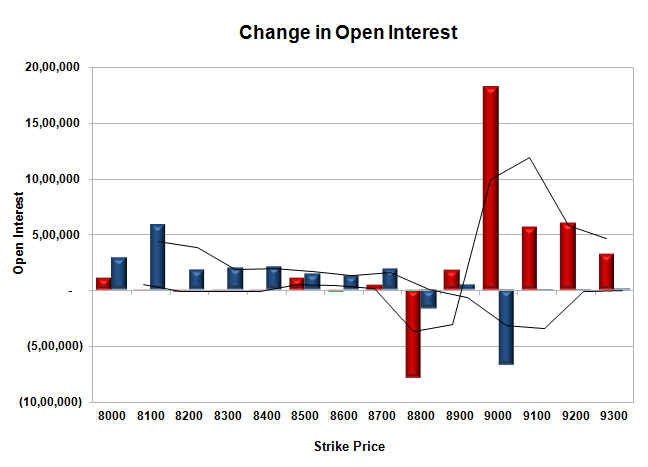 Bank Nifty Open Interest is at 20,28,850 up by 1,02,300, with decrease in price, most probably huge short build-up. FII’s bought 2.39 lacs Futures, which includes 16798 contracts long build-up and 7227 contracts short build-up, with increase in net OI by 24025 contracts (includes 86004 longs to 76433 shorts for the day) and the Average Price comes to 9003.45. FII’s Index future open contract as on date is 846525 Longs to 107435 Shorts, net long 739090 up by 9571 contracts. Initial support though looking weak but still at 8800, with OI of 20.92 lacs and below that at 8500 with OI of 23.77 lacs. Initial resistance at 8900, with OI of 21.32 lacs and above that at 9000 with highest OI of 52.90 lacs. 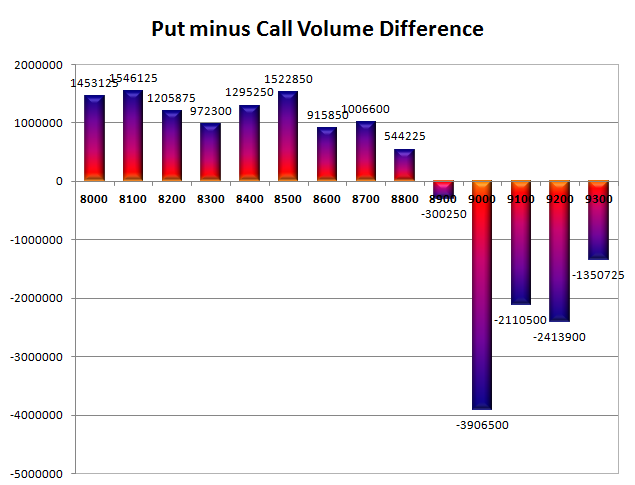 Day Range as per Option Table is 8764 - 8928 and as per VIX is 8716 - 8902 with 8860 as the Pivot.